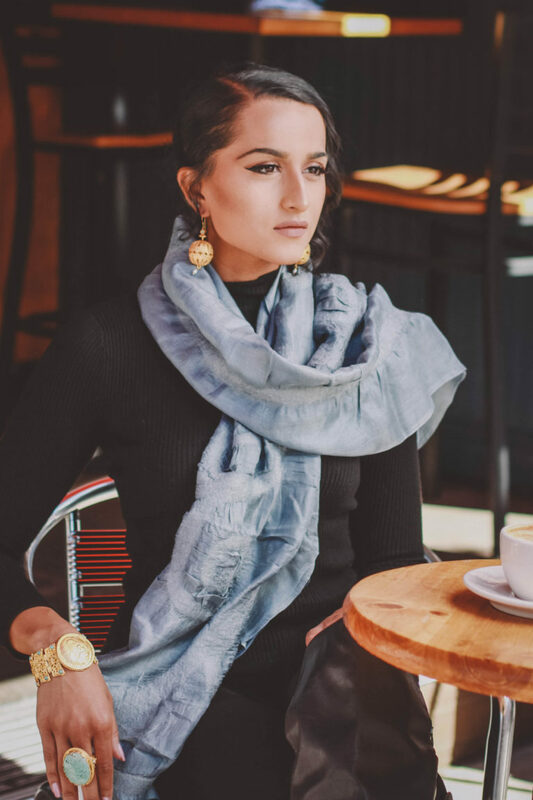 Traveling is always going to add a little stress, from being in a place where you may not know anyone or speak the language, to scheduling hotels and transportation, to maybe even getting lost; and most of that is inevitable. When I travel, I expect the stress, but I still like to minimize it as much as possible. The best way I’ve found to do that? Be prepared. And for me, that all starts with my carry on bag. My carry on bag is usually a large purse or back pack that I bring with me on the plane, and continue to bring around with me the rest of my trip. 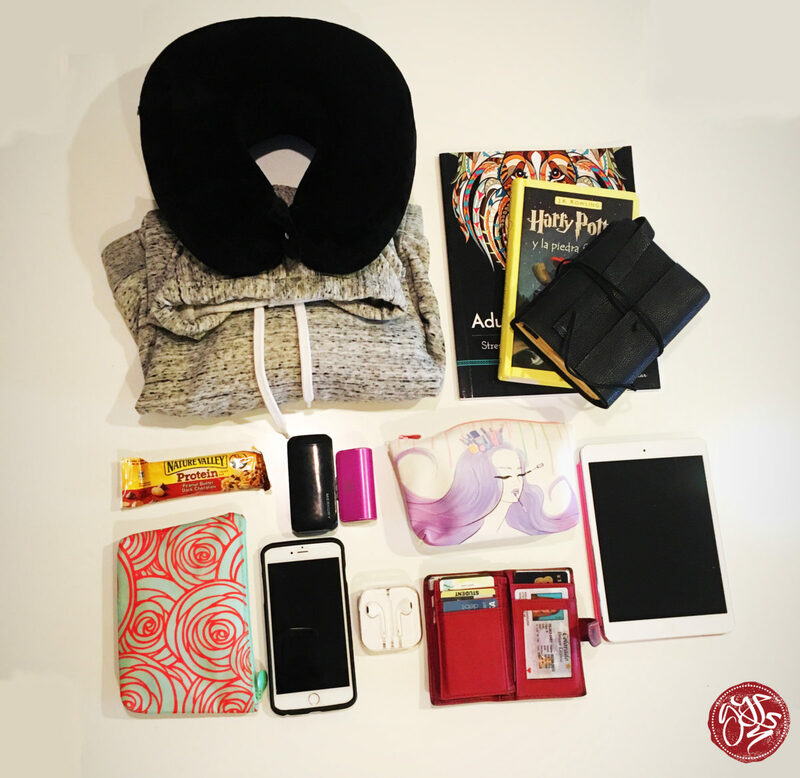 That way, I can pack it while I’m at home, and have a bag full of necessities and just-in-case extras wherever I go. It’s nice to know that my bag has everything I need, and it’s nice to never have to repack it while I’m traveling. So when I leave my hotel in a rush, I’m still prepared. Keep in mind: this is everything I need, and while a lot of this will probably help you out as well, it may not be a perfect list for you. When choosing what to put in my carry on, I like to go through my day-to-day life, and think of everything little thing I use. And some of this is trial and error; I’ve learned from my last few trips what I will always need and what I packed that ended up being just a silly extra, (I once packed a full box of granola bars in my purse… and soon realized that was a lot to carry and that having one at a time was much more practical). So use this as inspiration, but also consider what additions/exclusions you’d like to make. These are no-brainers, I would hope. But sometimes you get so caught up in all the extra items you need for traveling that you forget about the most important stuff! I like to keep these two in a pocket that zips up, just to avoid any accidental loss if I drop my purse or knock it over. 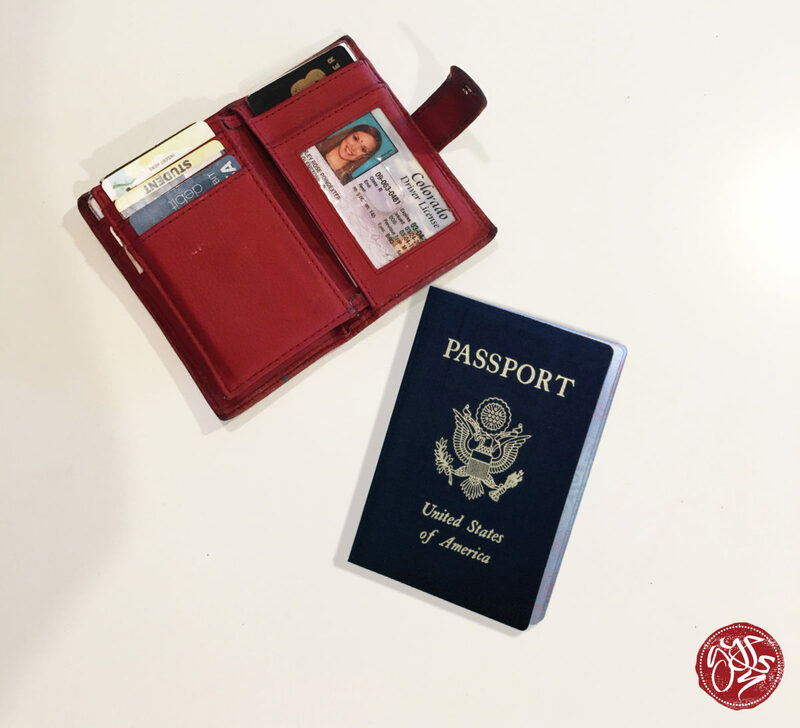 There are also plenty of secret passport pockets and holders available these days, my personal favorite being the bra passport holder… check it out below! If you’re taking a short trip, or a work trip, your laptop is definitely a must. As a student, I always used to bring my laptop along and get some homework and studying done on the plane. And now, the laptop is still a must as I use the flight time as an opportunity to get ahead on work. For personal trips though, I tend to shy away from my laptop because it’s pretty heavy and quickly becomes a lot to carry around. 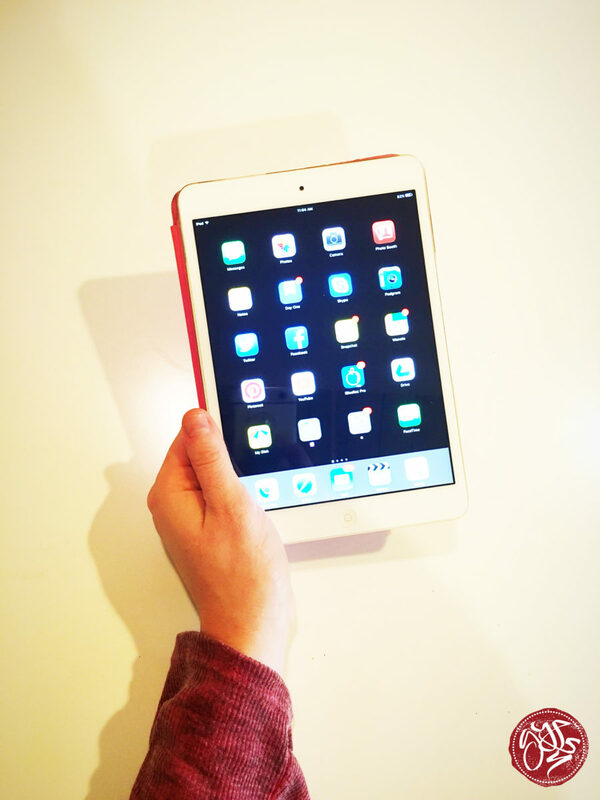 I’ve been pretty fond of bringing my iPad around (same as a tablet, if that’s what you have), because it’s small and light and can handle all the same basic functions as my laptop. I barely even notice it in my bag and it’s perfect for reading, answering emails, or watching tv/movies in flight. Water is my absolute lifeline when I travel. Not only can the air inside planes be really drying and kind of stuffy, but travel will naturally dehydrate you. I like smaller water bottles for flights, but always have a second bigger one in my actual suitcase. Remember that you can ask flight attendants to refill your water for you if you run out. My rule of thumb: finish one water bottle before the flight, one during, and one when I land. That sounds like a lot of water, but I’m usually so dehydrated that my body soaks it up and I barely have to take trips to the bathroom. Water is also a necessary antidote to any kind of altitude sickness. Whether you live at sea level and are traveling to a higher altitude, or if you live at altitude and are going to sea level, altitude sickness is real in both cases. The more water the better! Now that phone cameras are improving in quality, I generally leave the camera behind and opt for just the phone. If you’re a real photography lover and the camera is a must, I would suggest packing it safely away in your suitcase or overhead carry-on with lots of padding. I generally read on my iPad, because a lot of books can get heavy and take up space. But depending on where you’re going and the availability of wifi and electricity, a good old paper book can be a really good idea. 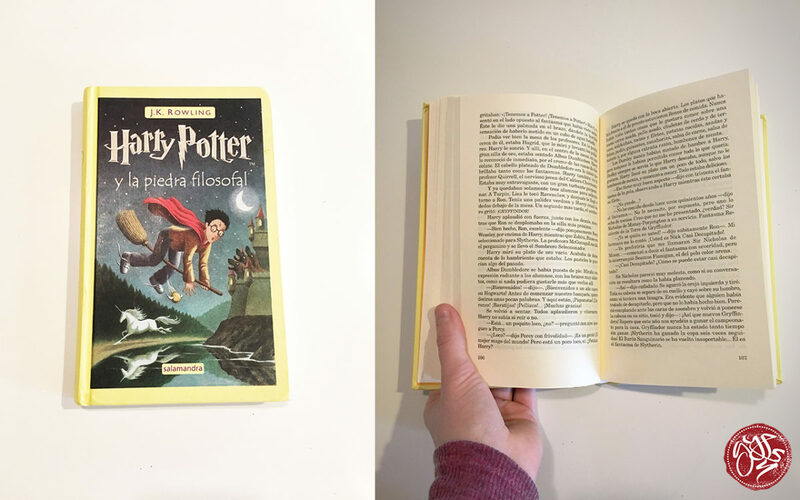 I like to read fantasy and adventure novels when I travel, because I always feel like they fit the theme of my own adventure, (and yes, I am currently reading Harry Potter in Spanish). Whether you’re a seasoned traveler or aspiring traveler, a travel journal is the perfect way to document your travels and stay inspired to keep exploring. You can fill it with travel goals, images of all the places you’ve seen or hope to see, or you can fill it with photos, ticket stubs, and souvenirs from your past trips. It’s also very therapeutic and calming to take a break from your hectic travel schedule and write. You can write about what you’re looking forward to, or what you hope to do, and you can continue to journal throughout your trip. 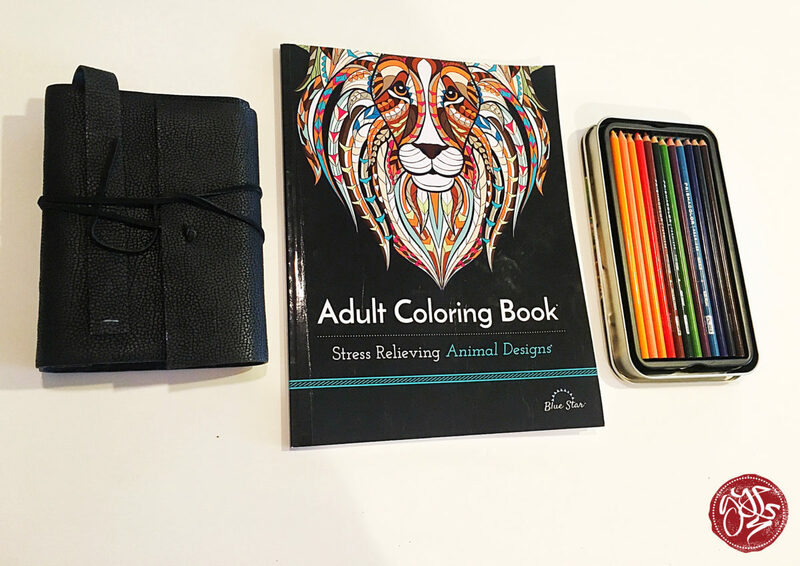 I also love to bring a coloring book and some colored pencils, as I find that coloring is extremely freeing and relaxing. 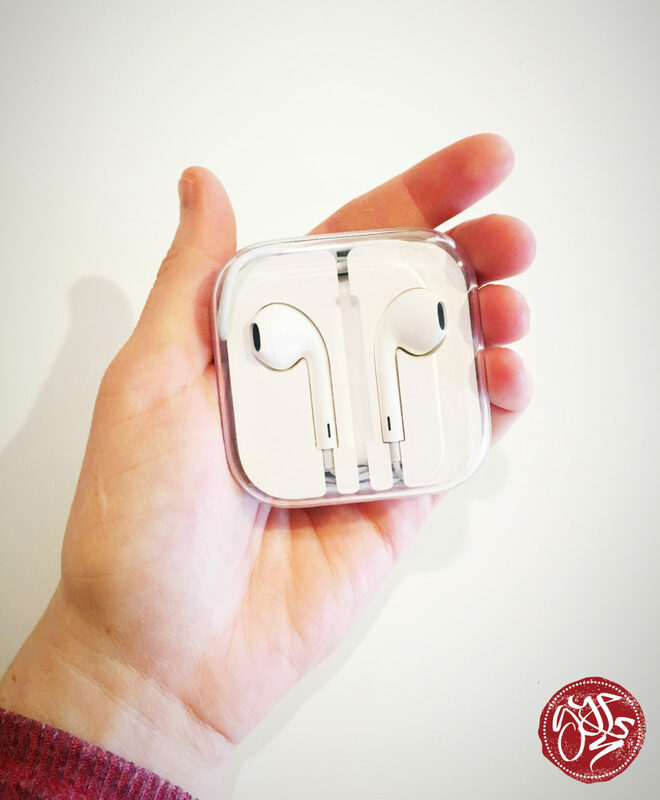 Whether you’re a music-lover, a podcast/audiobook listener, or you just like to have some silence, headphones are a must. The size and style is totally up to you- sometimes I like bringing my smaller ear buds, and sometimes I want larger headphones that cancel out noise. Who doesn’t love snacks? Not only do I love snacks, I also love (and sort of need) to have them with me if I ever get stuck with nothing to eat when I’m super hungry. Especially traveling, sometimes there’s just not time to stop and get food. 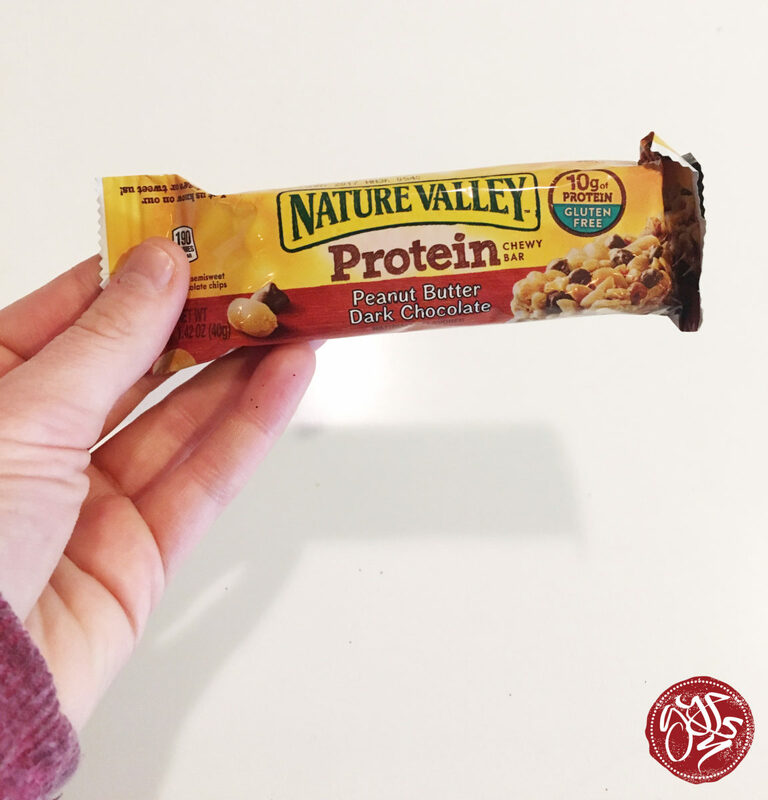 I also have a granola bar or protein bar, and something sweeter like fruit snacks or an apple. 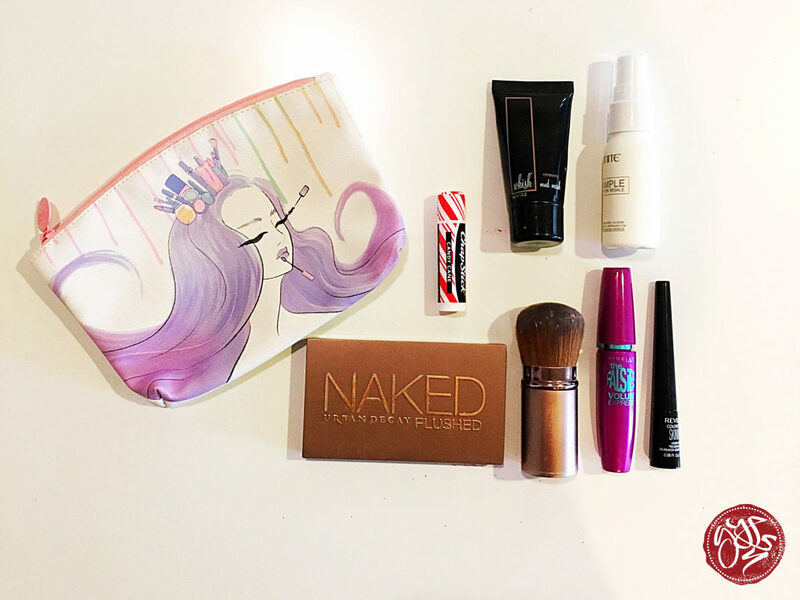 My small bag of toiletries actually lives in my purse on a daily basis, but I always make sure I refresh my stash when I travel. Chapstick, lotion, body spray, and a little bit of makeup always come in handy when I need a refresher mid-flight or when I land. The one thing I always make sure I add to this bag: sunscreen. I can’t tell you how many times I’ve forgotten sunscreen and ended up on vacation in pain and looking like a lobster. The first aid pack is one of those things that I didn’t pack my first time around, but quickly became a necessity. 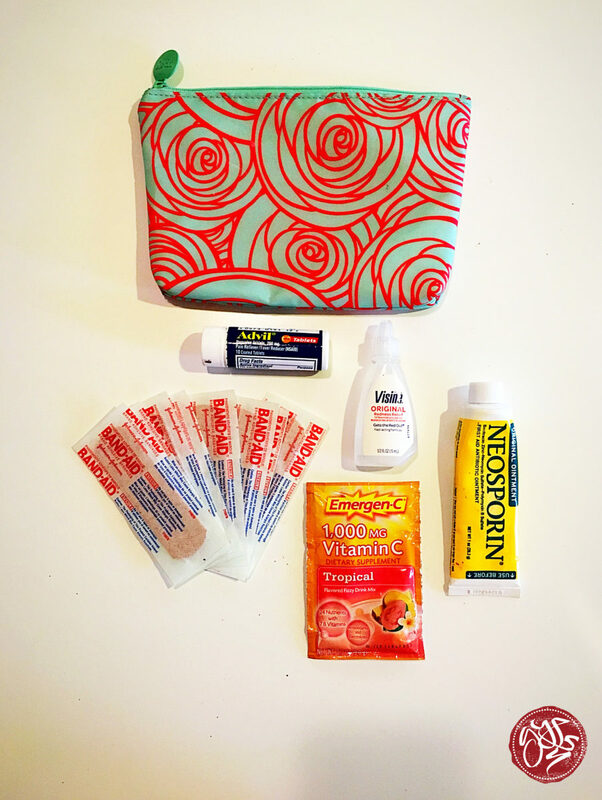 Band-aids, ibuprofen, eye drops, Neosporin, and a Vitamin C supplement… you never know what you’re going to get into. I also love to bring this along so I can help out friends or even strangers in need- you can never be too generous! 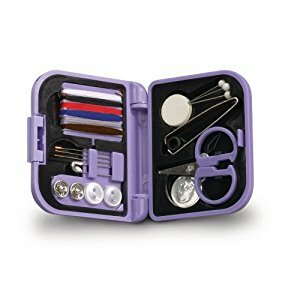 The mini sewing kit: the life saver of travel. Seriously, everything in here has at some point saved me or someone I was traveling with. And not to mention: mini tools are pretty adorable! You can buy these mini sewing kits at most hardware stores and convenient stores, or even make your own! For longer flights, you’re going to want to get some sleep. And in my experience, planes are usually pretty cold. 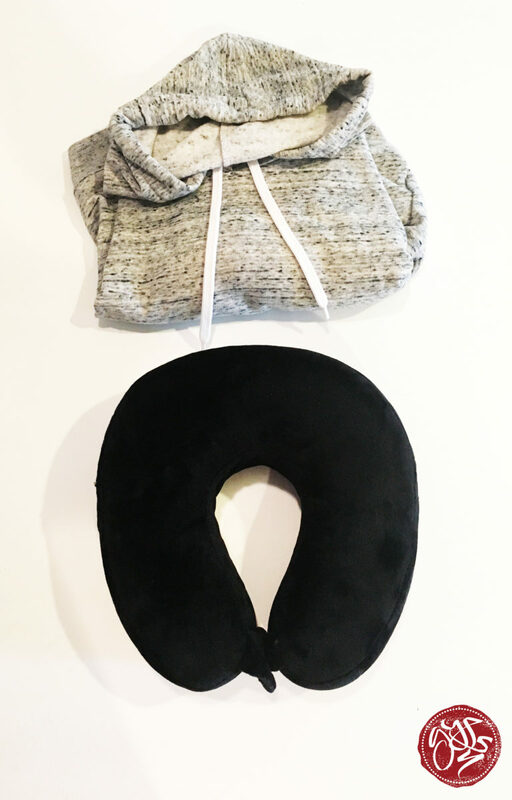 If I can fit it, I’ll bring a small blanket and pillow, or a travel neck pillow. If I’m traveling light I’ll bring an extra jacket or sweatshirt, to roll up and use as a pillow or to wear if I get cold. I will also throw some Melatonin in my toiletries bag, (a supplement that helps with sleep), so I can guarantee some sleep in flight. 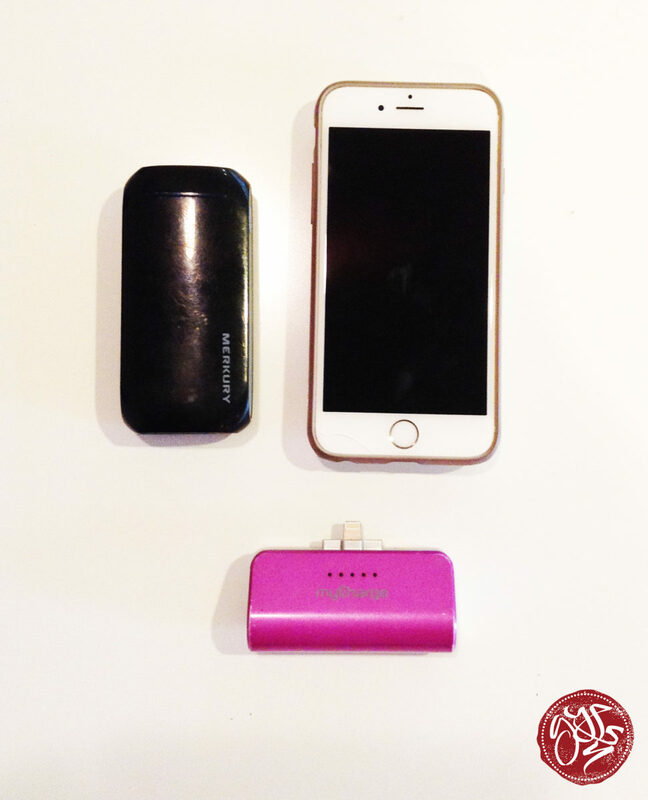 This requires a little more space in your bag, but can end up being a life saver. If you land and your luggage has been lost or left behind, having a change of clothes for one day can be a game changer. If I’m running short on space, I will just bring a change of socks and underwear so I can at least feel refreshed if I end up without my luggage. 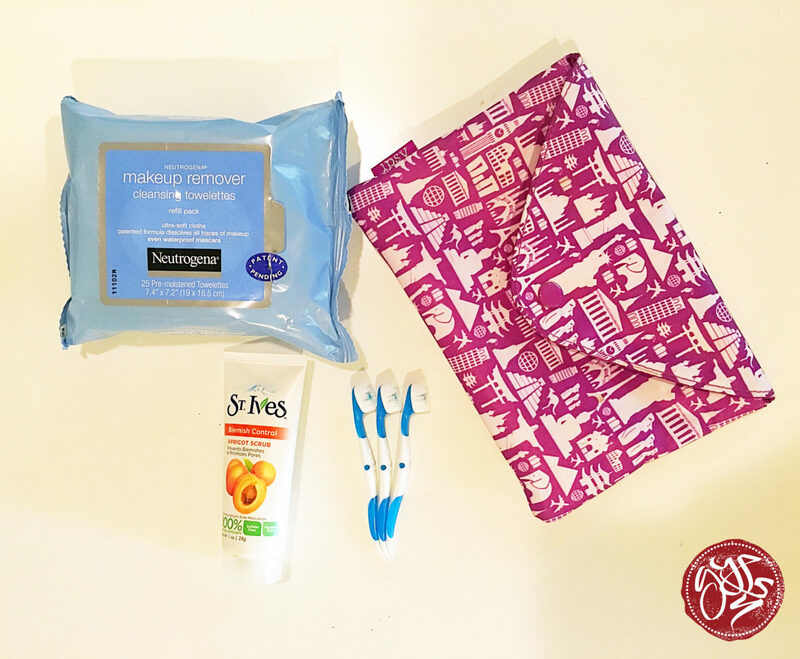 In addition to my normal everyday travel toiletries, I throw in some overnight items to make the long flights feel a little better. Once the cabin gets dark and it’s time to get some sleep, I like to go “get ready for bed” in a way, so I feel clean and my body and mind know its time to rest. Having a clean face and clean teeth can really make you feel at home, even in a tiny seat on an airplane. I always bring makeup remover and some face wash, and the mini toothbrushes (you can find them here), that have a bit of toothpaste already built into them. Leave some comments if there’s anything else that you like to add into your carry on, I always love suggestions!